96 pages | 14 B/W Illus. This book summarizes the fundamental and established methods for the synthesis of nanoparticles, providing readers with an organized and comprehensive insight into the field of nanoparticle technology. 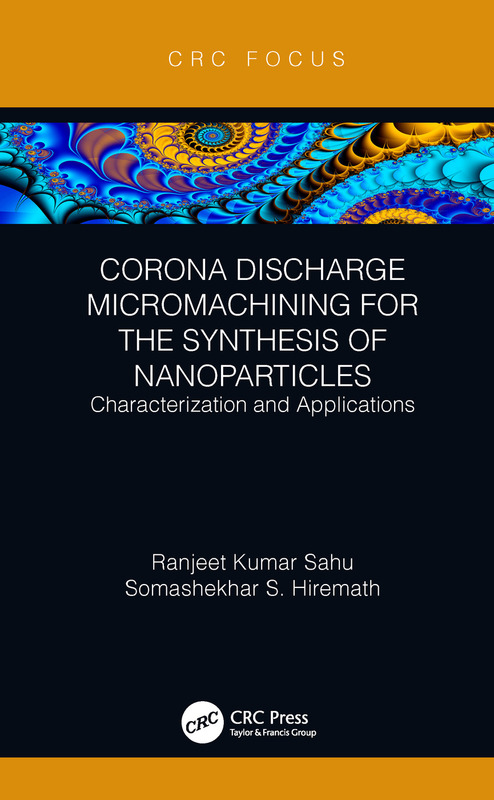 In addition to exploring the characterization and applications of nanoparticles, it also focuses on the recently explored corona discharge micromachining - Electrical Discharge Micromachining (EDMM) - method to synthesize inorganic nanoparticles. In the synthesis of nanoparticles, organic materials often play an indispensable role, such as providing stabilizers in the form of capping agents. This book will be of interest to advanced undergraduate and graduate students studying physics and engineering, as well as professionals and academics looking for an introduction to the nature and foundations of nanoparticle synthesis. Ranjeet Kumar Sahu received his BE degree in Mechanical Engineering in 2002 from Berhampur University, his M.Tech degree in Production Engineering in 2011 from NIT Rourkela, and his Ph.D in Nanomanufacturing from the Indian Institute of Technology Madras in 2016. Currently, he is working as a Research Assistant Professor in the Department of Mechanical Engineering at the SRM Institute of Science and Technology, Kattankulathur, India. Somashekhar S. Hiremath works as an Associate Professor in the Department of Mechanical Engineering at the Indian Institute of Technology, Madras, Chennai, Tamil Nadu, India. He received his doctoral degree in 2004.